A good rain jacket is an essential piece of gear for any cyclist, particularly in the spring when unexpected rain showers might put a premature end to any ride. 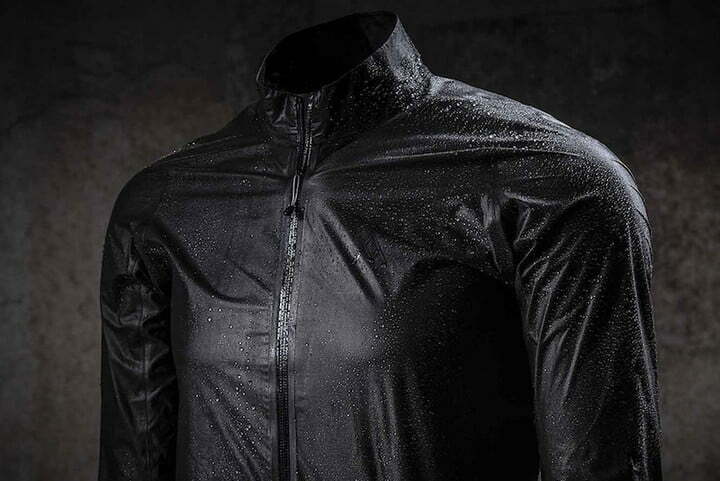 Thanks to an innovative new fabric developed by Gore-Tex, however, a new jacket from a company called 7Mesh promises to provide a new level of protection from the rain, while still managing to remain incredibly small and lightweight. At 3.2 ounces (93 grams), the Oro cycling jacket is lighter than an energy bar and smaller than a smartphone when packed away in its built-in stuff pocket. This makes it a no-brainer for riders to carry it with them just in case the weather takes a sudden turn for the worse. Despite its minimalistic proportions, the jacket manages to remain completely wind and waterproof resistant, providing a protective shell from the rain as well as added warmth when the temperature begins to drop. But the Oro is also highly breathable too, allowing excess heat and perspiration to vent out when things start to become more active. This high level of performance comes courtesy of Gore-Tex Active, a new fabric specifically designed for use in outdoor sports apparel manufactured for runners and cyclists. What makes Gore Active different from other materials is its outer surface is waterproof on its own, without the need for a face material or a glue layer to hold everything together. The result is a lighter, thinner jacket which excels at repelling moisture, never wets out, and is comfortable to wear both rain or shine. Other nice features of the Oro include reflective elements that help keep the wearer more visible in low light conditions and pass-through vents which allow riders to access jersey pockets without having to remove the jacket. Its tapered, form-fitting cut also allows cyclists to remain aerodynamic and streamlined while out on the road. Priced at $300, the Oro cycling jacket is available now directly from 7Mesh.